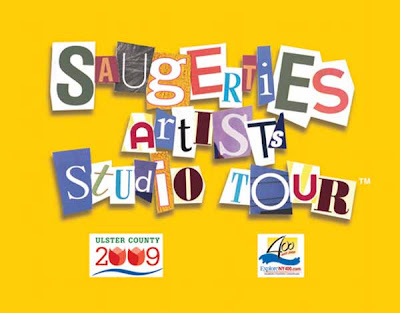 This year, I will be part of the Saugerties Artists Studio Tour. It is the weekend of August 8th and 9th from 10am to 6pm. There are over 30 artists participating, and everyone has been working hard to make it a great event. If you have the time, come out and support your local artists! It isn't often that you can visit them in their environment and see them work. As we gear up for the Tour, many of the local merchants are showing the Artists' work in their windows and inside their stores. Check out the town for a preview of the Artists' work. For more information, visit the Saugerties Artists Studio Tour website.